With summer nearly in full swing, thousands of college students find themselves with much more free time to enjoy the summer months. Those who live in New York are in luck, because they won’t have to travel far to find plenty of fun things to do! Below is our list of 30 New York Summertime Attractions, updated for 2015. No matter what part of the Empire State you call home, there’s bound to be something interesting to do in your area, many very close to our SUNY campuses! 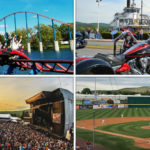 For even more exciting activities this summer, check out our previous 2013 and 2014 lists of New York summertime attractions. If you have any suggestions, leave them in the comments below or message us on Facebook or Twitter! Botanical Garden: Taking a nice stroll and enjoy the nature around you can be enjoyable relaxing summer day at Botanical Garden. With several events such as orchid evenings, bringing your loved ones to the orchid show is a great way to go around and take a look at thousands of spectacular flowers. Rockefeller Center: The Rockefeller Center has a vast entertainment and shopping complex in the middle of Manhattan, and home to NBC-TV and radio and other media. There is nothing better than having access to great restaurants, clothing stores, and entertainment within walking distance. Additionally, there is a 70-story RCA Building, with indoor and outdoor viewing accommodations that is open to the general public. Solomon R. Guggenheim Museum: Do you enjoy the looking at wonderful art? The Solomon R. Guggenheim Museum is home to one of the world’s finest collections of modern art that includes the works of Picasso, Leger, and Changall, just to name a few. Nikon Theater at Jones Beach: There is nothing quite like seeing a concert outside under the stars on a warm summer night. 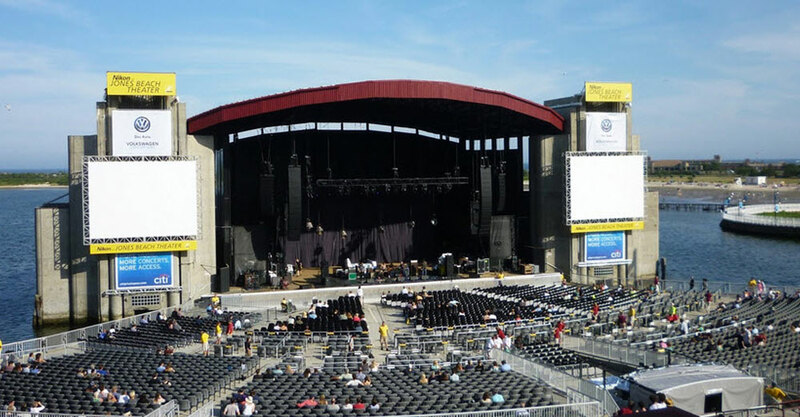 Nikon Theater is an outdoor arena located at Jones Beach State Park and provides a diverse summer concert series that is sure to have something for everyone. Shelter Island: Visiting Shelter Island is a great way to spend a sunny afternoon by exploring Long Island on a nice boat ride or by renting a bike. Spending a weekend can become very adventurous as you will get the opportunity to take a tour through Mashomack Nature Preserve, which consist of 12 miles of coastline and acres of creeks, woodlands and fields. The Adventure Park at Long Island: The Adventure Park appeals to those who enjoying having a great time outside, whether young or old. The park features multiple zip lines and aerial ropes challenge courses. There are eight different “ropes courses,” or trails through the trees, of varying challenge levels, from introductory to advance. The self-guided trails do not require previous climbing experience, which is always fun for first timers. Albany Pine Bush Preserve: Just a hop, skip, and a jump away from the University at Albany, Albany Pine Bush Preserve provides a retreat for trail runners, hiking enthusiasts, and nature lovers alike. This 3,200-acre nature preserve has nearly 18 miles of trails and provides a serene location for activities such as bird watching, jogging, horseback riding, mountain biking, and more. 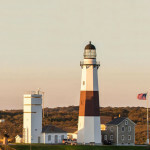 Dutch Apple Cruises: Explore the Capital Region by land and by water with Dutch Apple Cruises! Located in the beautiful and historic capital of New York State, where they offer sightseeing cruises on the Hudson River, trolley tours of Albany, and specialty tours throughout the Capital District. 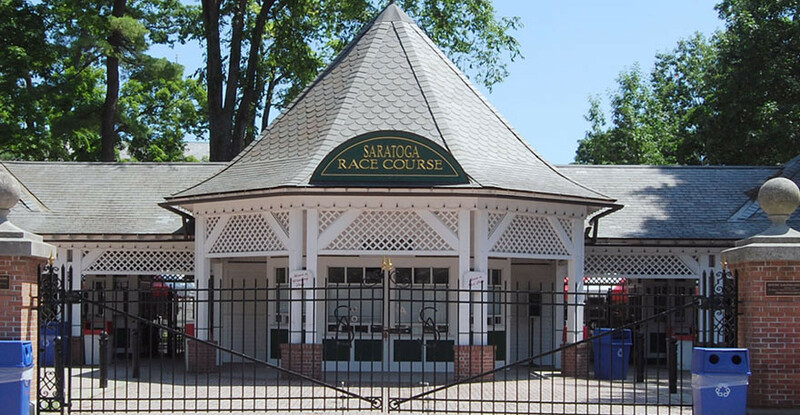 Saratoga Race Course: If you are in the Capital Region this summer, visiting the Saratoga Race Course in Saratoga Springs is a must. Whether you’re a horse racing enthusiast or you’ve never set foot on a race track, you won’t be disappointed. The race course will open for the 2015 season on Friday, July 24. And you might even get the chance to see Triple Crown winner American Pharoah compete. Bear Mountain State Park: Taking a trip to Bear Mountain can be a great way to spend a summer day with family and friends. There are many fun activities such as a large play field, shaded picnic groves, lake and river fishing access, a swimming pool, Trailside Museums, Zoo, hiking, biking and cross-country ski trails. 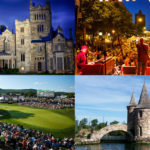 Culinary Institute of America: If you’re a self-proclaimed foodie, a visit to the Culinary Institute of America should be on your to-do list this summer. The Hyde Park location is the college’s main campus and operates four restaurants and a bakery cafe, all staffed by students and open to the public. Take a tour of the nation’s oldest culinary arts school, and be sure to visit the culinary bookstore and gift shop! 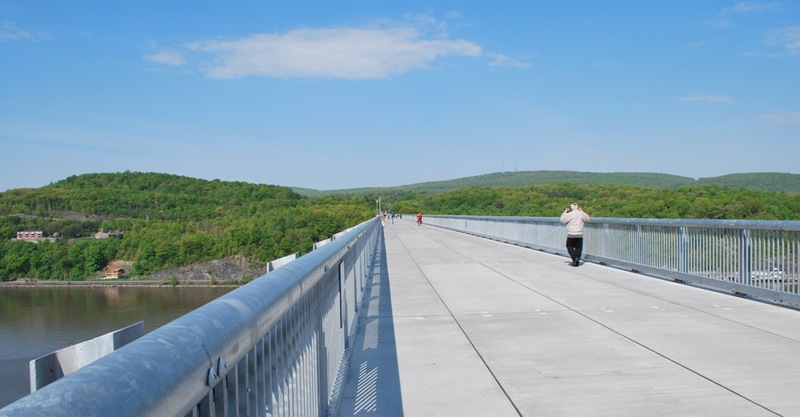 Walkway Marathon: Known as the longest walkway pedestrian bridge in the world, the Walkway Over The Hudson spans the Hudson River and offers spectacular scenic views – a perfect place to go for a run! This year, the annual Walkway Marathon will take place on June 13. Runners can take on a full marathon or half marathon that begins at Marist College, continues onto the William R. Steinhaus Dutchess Rail Trail, crosses the Walkway, and ends on the Hudson Valley Rail Trail in Ulster County. Talk about a work out! Matt Brewing Co: Founded in 1888, this family-owned brewery is located in Utica, NY at the foothills of the Adirondack Mountains. Visit during the summer months to experience Saranac Thursdays, which features live music from local bands every week. The 2015 season starts May 21 and runs through September 3. Utica Zoo: Located in Roscoe-Conkling Park, Utica Zoo is an 80-acre property established in 1914 and owned by the City of Utica. 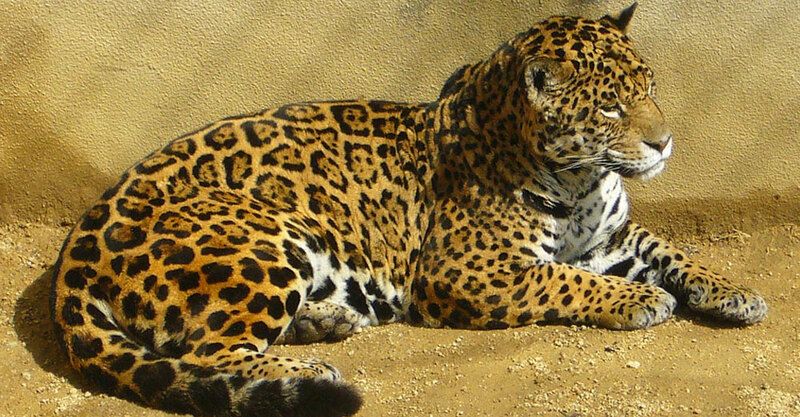 The zoo is home to over 200 animals and is open all year round. Check out the zoo’s 2015 calendar of events for fun activities including Wine in the Wilderness on June 6 and Brewfest on August 1. 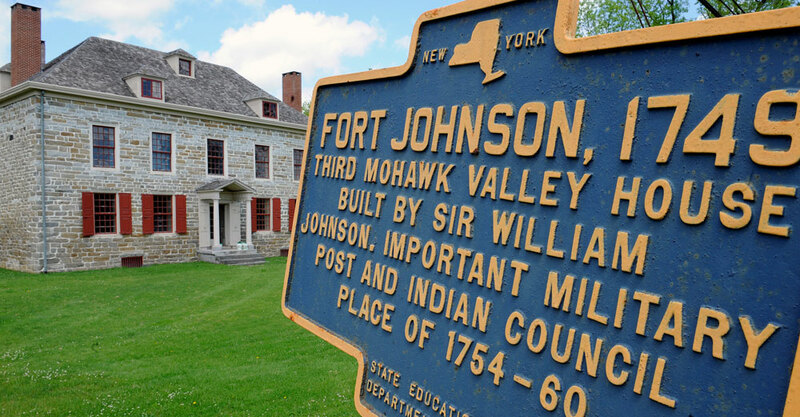 Old Fort Johnson: With the Mohawk Valley playing such a significant role in many historical battles, it’s no wonder Old Fort Johnson along the north bank of the Mohawk River is preserved as it existed in 1749. Visitors can experience 18th century period houses and rooms, special exhibits and an extensive research library. A National Historical Landmark, Old Fort Johnson is named for the residency of British agent to the Iroquois, Sir William Johnson, who was involved in the French and Indian War and the capture of Fort Niagara. 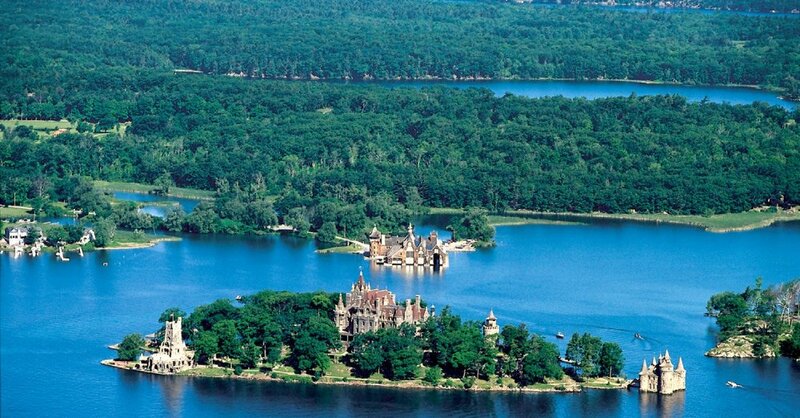 1000 Islands: Located at the border between Northern NY and Southeastern Ontario, 1000 Islands is known as the region of “endless shorelines” leading to back channels, private coves, and more. Embark on a scenic boat tour, visit one of the many historic sites, go golfing or fishing, and taste the region’s traditional food. Six Flags Great Escape: Are you a thrill seeker? Then you’ll feel right at home at this branch of the famous Six Flags theme park chain. With over 135 rides, games and attractions you’ll never find yourself bored here! There’s even a water park inside the gates as well. Adirondack Adventures: Embark on a whitewater rafting trip with Adirondack Adventures! Open April through October, this site is located 30 minutes from Lake George and offers guided whitewater rafting, kayaking, canoeing, float fishing, and much more! 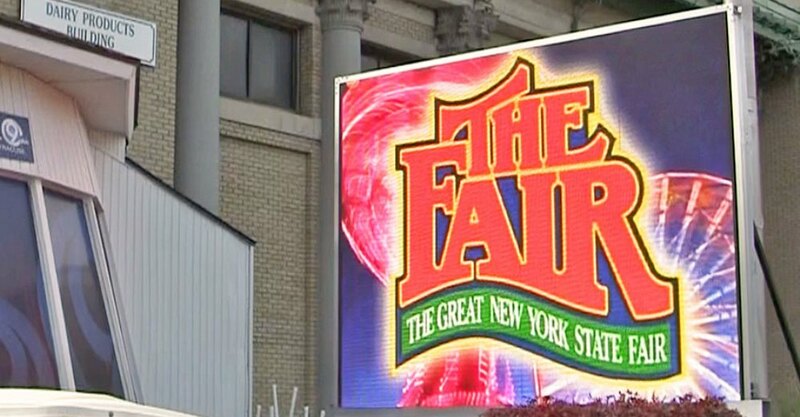 The New York State Fair: SUNY is back again as a proud sponsor and exhibitor at the Great New York State Fair. This annual celebration of New York’s economic, cultural, and institutional strengths promotes agricultural growth and awareness. This year’s fair will run from August 27 through September 7 and will feature food, music, rides, games, exhibits, animals, agriculture and many more forms of affordable entertainment for families and friends. Come visit SUNY during the fair for to learn about your favorite campus and grab some nice giveaways. Turning Stone Resort Casino: Want to take a nice getaway trip without leaving your hometown? This 3400-acre resort in the heart of Central New York is the perfect location! With access to a large casino, lounges, fine dining, fitness centers, and professional quality golfing, a visit to Turning Stone Resort Casino sounds like a great idea for this upcoming summer. Secret Caverns: Take a half-mile guided walking tour of the Secret Caverns, a small commercial cavern located in Howes Cave, NY. Descend 103 stone stairs underground to view ancient formations of stalactites and stalagmites, prehistoric fossils, and a spectacular 100-foot underground waterfall! Wine Trails: The Finger Lakes region is home to some of the best wineries and vineyards in the world. 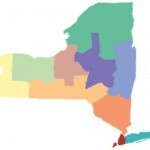 Composed largely of family owned and operated wine producers, the Finger Lakes region takes its wine very seriously. The regions popular Rieslings, when coupled with fresh, local, and organic food, are sure to give you a delicious time. Be sure to look over these wine touring tips before planning your visit! 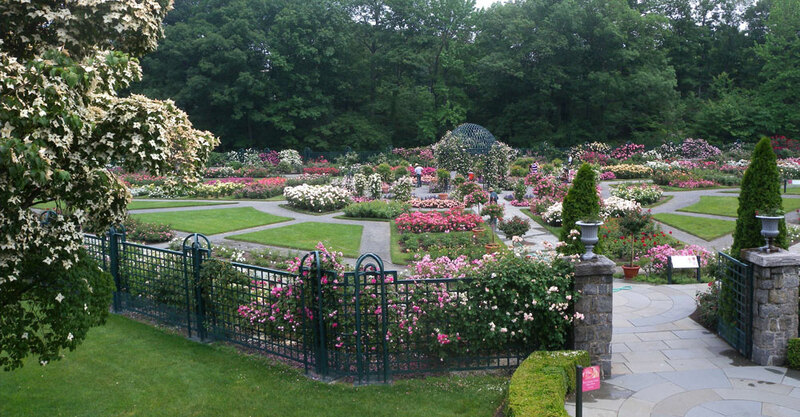 Sonnenburg Gardens and Mansion State Historic Park: Explore 50 acres of land containing 9 themed gardens and a greenhouse at Sonnenburg, located in Canandaigua, NY. Those who are more interested in the historic aspect of the property can venture into the 40-room, Victorian-style mansion on the property. 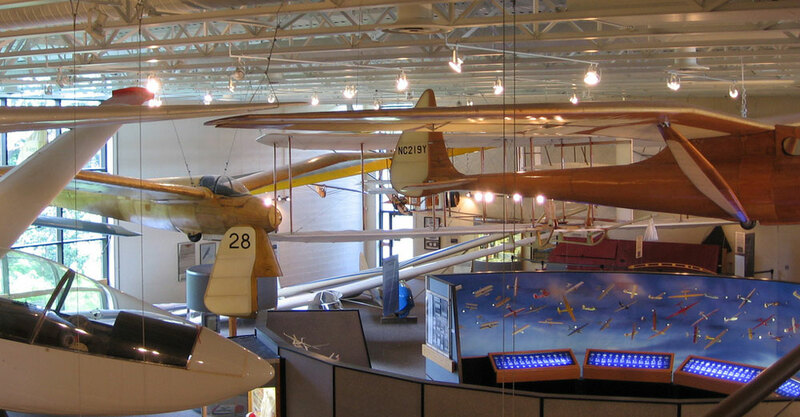 National Soaring Museum: Located at the top of Harris Hill in Elmiar, NY, the National Soaring Museum is a 37,132 square foot facility with an elevation of 1,709 feet above sea level. See the world’s largest collection of gliders and sailplanes and marvel at the preservation of motor-less flight vehicles. Try a flight simulator or go for a real plane ride in a sailplane and view the beauty of the Finger Lakes from above. Binghamton Zoo at Ross Park: Founded in 1875, Binghamton Zoo is the 5th oldest zoological institution in the country. You can spot animals such as Snow Leopards, meerkats, cougars, bears, tigers, arctic foxes, wallabys, lemurs, snakes and more. Additionally, you can enjoy a carousel ride, take a stroll through the themed botanical gardens, visit the Leopard’s Spot Snack Shack, or browse the Zoovenirs Gift Shop. Check out the 2015 season calendar for upcoming events, promotions, giveaways, and more! Spiedie Fest and Balloon Rally: Have a taste for regional foods? The spiedie is local to Greater Binghamton in the Southern Tier, traditionally made by serving freshly prepared cubes of lamb, chicken, or beef on soft Italian bread. The meat is marinated in a mix of oil, vinegar, and Italian spices, as the spiedie was invented by Italian immigrants in the 1920’s. Be sure to check out the annual Spiedie Fest and Balloon Rally in Binghamton July 31 through August 2. The festival is celebrating its 31st year and will feature live concerts, food and craft vendors, fireworks, car shows, volleyball tournaments, hot air balloon launches and a Spiedie cooking contest! Kopernik Observatory & Science Center: Explore the wonders of science at the Kopernik Observatory & Science Center. High up a hill in Vestal, the observatory is situated in a perfect spot for exploring outer space and the universe. With many different types of telescopes and lab space with computers and other tools, the center provides ample space for hands-on investigation. In mid-August, you can head to the center for a night of Perseid Meteor Shower observations, which at its peak produces 50 meteors per hour! Frank Lloyd Wright Darwin D. Martin House: Famous architect Frank Lloyd Wright designed more than 1,000 structures in his time, bringing the philosophy of “organic architecture” to the public. One of these structures was a residential complex for wealthy Buffalo businessman Darwin D. Martin and his family between 1903-1905. 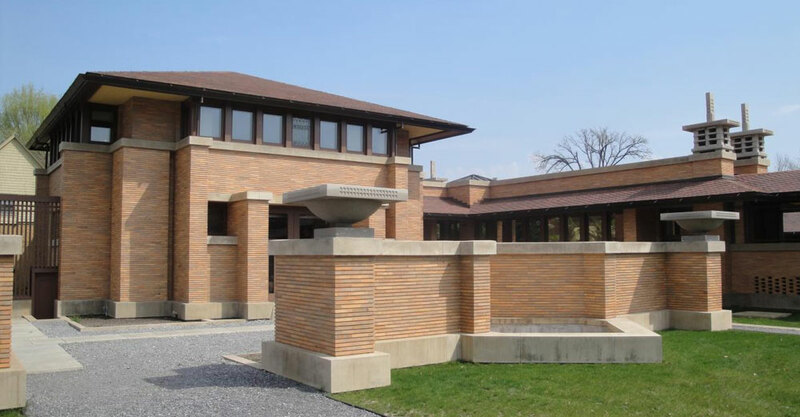 Considered by many experts to be one of Wright’s finest achievements, the Darwin D. Martin House received received National Historic Landmark status in 1986. Rochester Museum and Science Center: Packed with three floors of hands-on, interactive exhibits on science, technology, and more this museum is the perfect place for science enthusiasts. It shares a 13-acre campus with the Strasenburgh Planetarium, which showcases astronomy shows, giant screen films and even a rock music laser light show! Canalside Buffalo: Located in the downtown corridor of Buffalo, Canalside is a major player in the waterfront revitalization of Buffalo. Come by bike, car, boat, or walk to an area that has more than 800 events and activities of many varieties this summer, including science, history, live music, art, food, and more. Experience the rebirth of the Erie Canal Harbor as it continues to come back to being the epicenter of commerce and trade in Buffalo.